In Aquitaine, our campsite in the Basque counrty is the ideal holiday destination for discovering the Basque villages, beaches and culture. We’re delighted that you’re interested in discovering the Basque Country, and particularly Biarritz and Bidart. 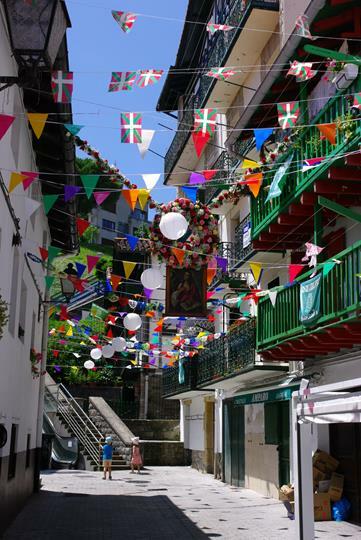 In addition to the Basque language “Euskara”, 64 inherits traditions that will conquer the greatest and the smallest. 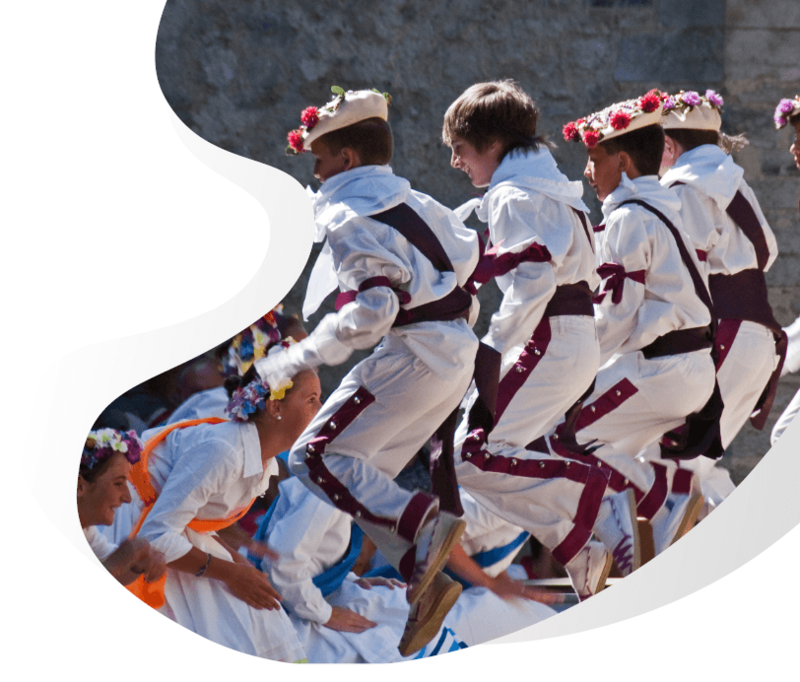 Basque culture is present everywhere: in language, architecture, songs and dances, sports and gastronomy. Basque pelota with its “pediments” (walls) is THE sport in the Basque Country. 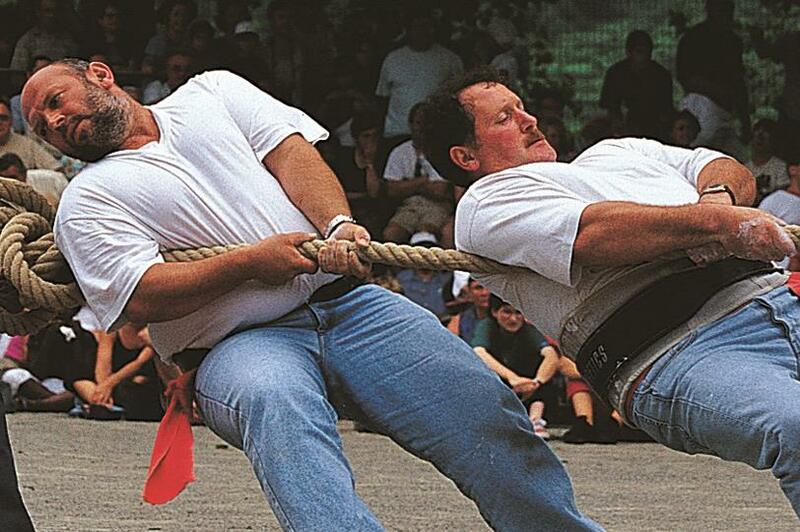 Basque strength is a particular sport that has been created by the challenges posed by young Basques between the farms in the region for centuries. This tradition has been transformed into a multi-sport competition: trunk cutting with an axe, stone pulling, stone lifting, tug-of-war, etc. 16 disciplines are now officially recognized. Throughout the year, you can attend friendly sporting events and even test your strength and learn about pelota. We find the famous Gâteau Basque, born in Cambo-les-bains. Made from a sweet and melting shortbread paste, and topped with local black cherry jam or pastry cream, a real treat. 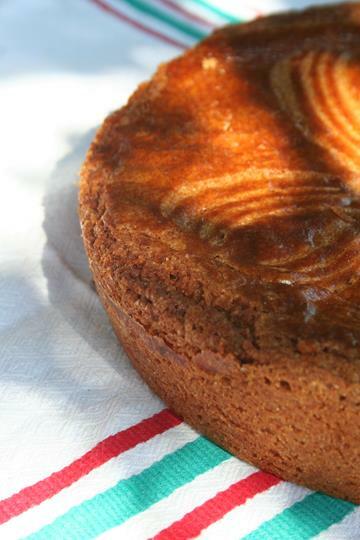 You will find an authentic bakery next to the campsite, “Le Domaine de Bassilour”, where you can admire the period grain presses and taste their unique products. Come and enjoy your holidays in our accommodation in Bidart and enjoy the Basque culture without moderation ! 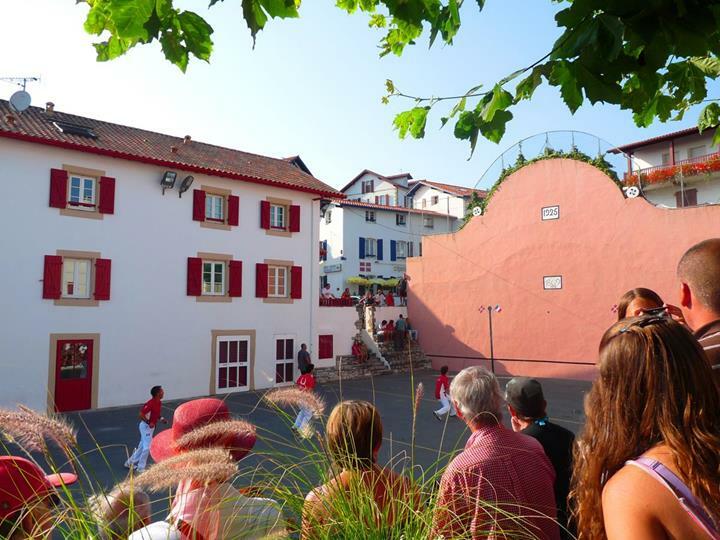 At Camping Oyam, we organise shows where Basque folklore is promoted. Oyam café offers local dishes with specialities from Basque gastronomy.